The murky water can be a terrifying place for anyone. You never quite know what’s lurking just beneath the surface of your favorite watering hole. In fact, you could be dangerously close to a crocodile or an alligator. You just never know what you might find when you step into the water this Halloween. But do you even know the differences between a crocodile and an alligator? 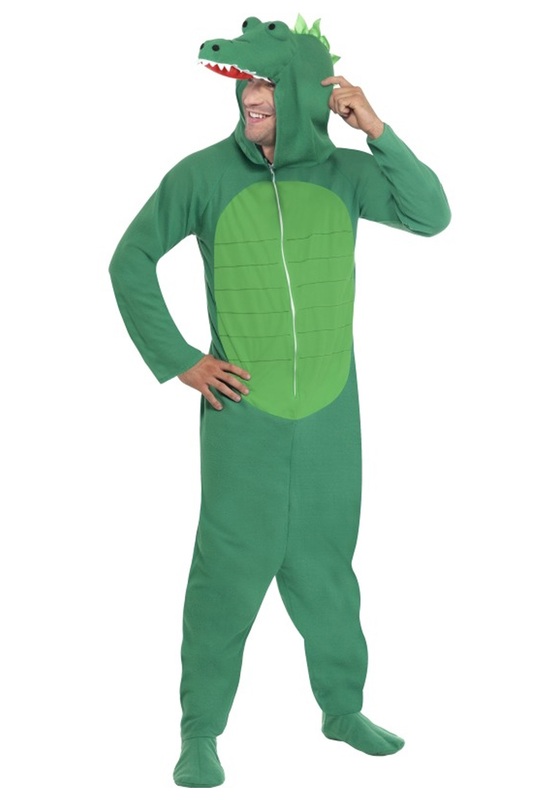 You'll have to educate yourself on aquatic tetrapods before heading out in this Adult Crocodile Costume. And yes. It is as comfortable as it looks. This 100% polyester costume is fit for any Halloween party (it even makes a great pair of jammies if you happen to have a little too much fun out on the town!). The green fleece jumpsuit has a front zipper, and the tummy area has a lighter green inset for added detail. 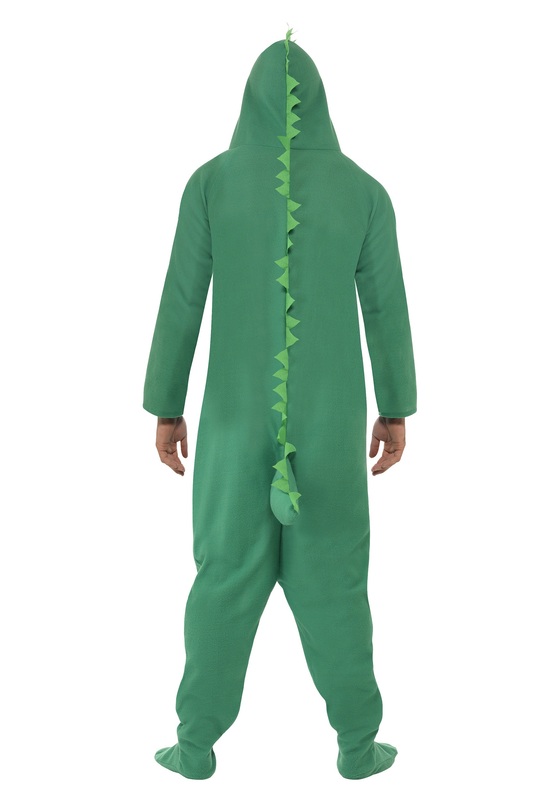 The back of the costume has matching green scales that run down the length of the back and it has an attached plush tail with spikes so you can intimidate even the toughest of predators. The legs of the jumpsuit are baggy for extra comfort and the shoe covers are attached at the bottom (they cover the entire foot). Top off the entire look with the attached hood that features a plush crocodile head, complete with felt eyes, a long snout, felt nostrils, red mouth, and felt teeth. A great look at a great price!